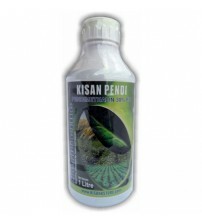 Brand: Krishi Rasayan Exports Pvt. Ltd.
Mode of action: Selective, systemic action absorbed by foliage and roots. Inhibits plant amino acid synthesis - acetohydroxyacid synthase AHAS. Introduction Bispyribac sodium 10% SC is a post emergence herbicides effective against grasses, sedges and broad leaf weeds of rice crop. Time Of Application Nursery/ Transplanted :The optimum time of the application is 10-12 days after sowing for nursery rice and 10-14 days after planting for transplanted Rice when the most of the weeds have already emerged and are of 3-4 leaf stage depending upon soil and climatic factors. Direct Seed Rice: for direct seed rice the time of application is 15-25 days after sowing. Plant Protection Equipment: High volune sprayer viz., Knapsack sprayer fitted with flat fan flood jet nozzle is recommended. Direction Of Use Direction for use: Shake the bottle before use. 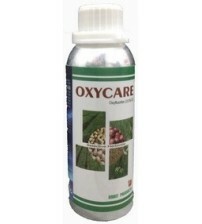 Measure out requisite quantity of the herbicides and mix it well with small quantity of water. Add the remaining quantity of water specified with thorough agitation Application method: Prior to herbicides application the field should be drained. Field should be re-flooded within one day after application and water should be maintained at least for 10 days post application. Spraying Instruction: Spray uniformly in the direction of wind. Ensure thorough coverage of the weeds. Precautions 1. Keep away from food and feedstuff. 2. Avoid contact with eyes and skin. 3. Avoid inhalation of the spray mist. 4. 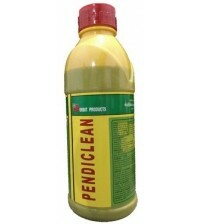 Wash thoroughly the contaminated clothes and parts of the body after spraying. 5.Do not smoke, drink eat and chew anything while spraying. 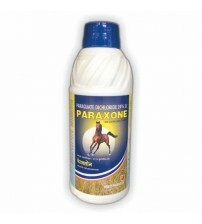 Signs And Symptoms Of Poisoning Weakness, vomiting, salivation and diarrhea. First Aid Measures 1. If swallowed, induce vomiting by tickling the back of throat. Do not induce vomiting if the patient is unconscious. 2. If clothing and skin are contaminated, remove the cloths and wash the contaminate skin with copious amount of soap and water. 3. If eyes are contaminated, flush with plenty of water for about 10 to 15 minutes. 4. If, inhaled, remove the patient to fresh air. If not breathing, clear the airway and give artificial respiration. Get a medical attention immediately. Drug Therapy (Anti-Dote) No specific antidote is known. Treat symptomatically. Storage 1. The package containing the herbicides shall be stored in separate rooms or premises away from the rooms or premises used for storing other articles particularly articles of food or shall be kept in separate almirahs under lock and key depending upon the quantity and nature of the herbicide. 2. The rooms or premises meant for storing the herbicides should be well built, dry, well-lit and ventilated and of sufficient dimension to avoid contamination by vapour. Disposal Of Containers 1. The package shall be broken and buried away from habitation. 2. The used package shall not be left out side to prevent their re-used. 3. The package or surplus material and washing should be disposed of in safe manner so as prevent environmental or drinking water pollution. 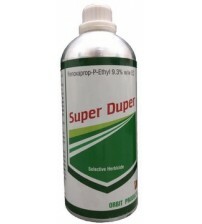 This herbicide is effective against grasses, sedges, and broad leaved weeds in rice crop. 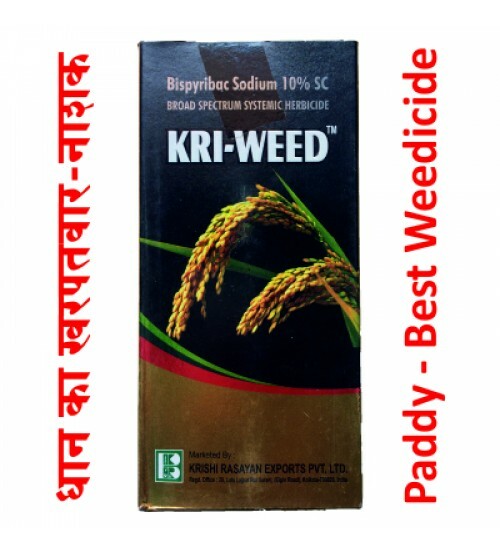 We do not recommend this herbicide/weedicide on any other crops except Rice/ Paddy. 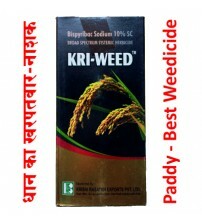 All herbicide/weedicide have adverse effect on all other crops. 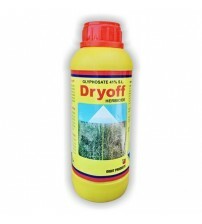 You can use herbicide/weedicide on your own risk, we are not liable for any damage on crops.